Kick up your event planning and go for the GOOOOOALLLL!!!!! 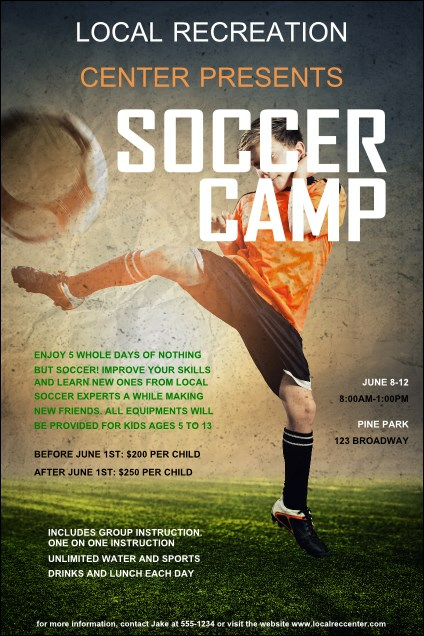 Advertise with the fun and exciting Soccer Camp Poster. This template is a great design for camps, clinics and tournaments, with twenty-one lines for your event details. Align your offense and defense and promote with this athletic poster.